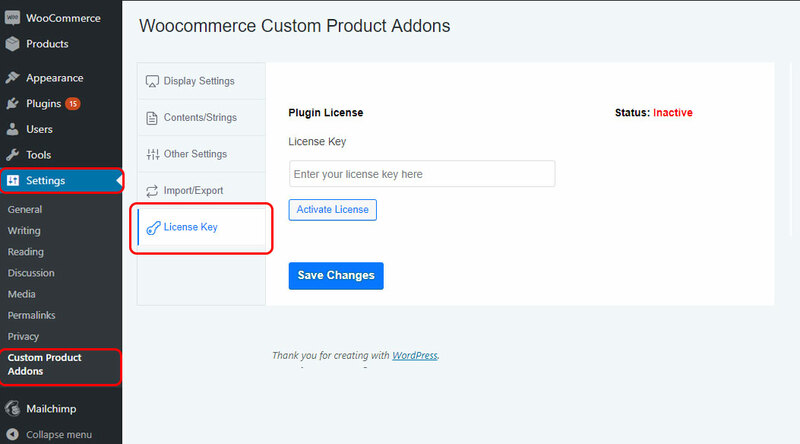 After activating the plugin, you need to enter the License Key. 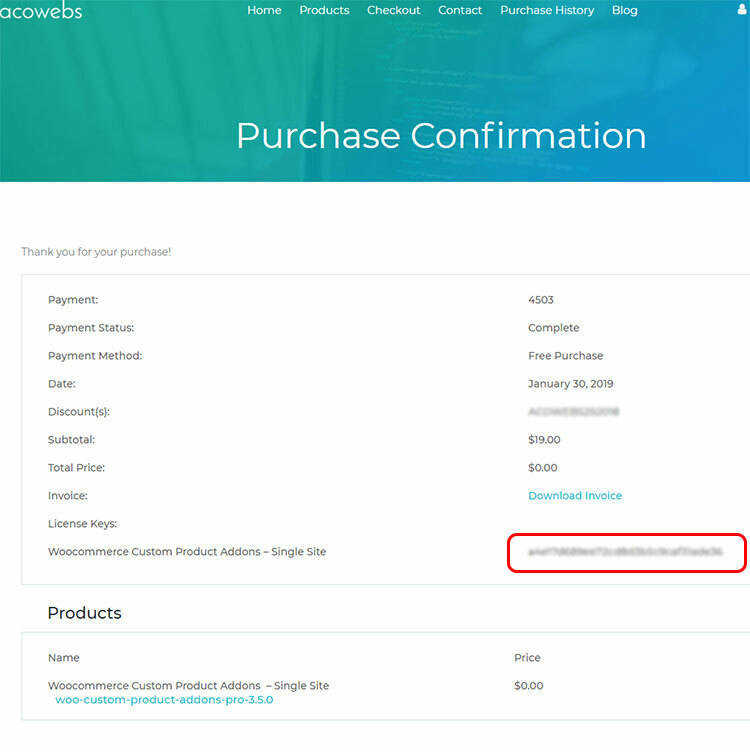 The license key can be copied from the purchase confirmation page. The screenshot below shows where the license key exists. 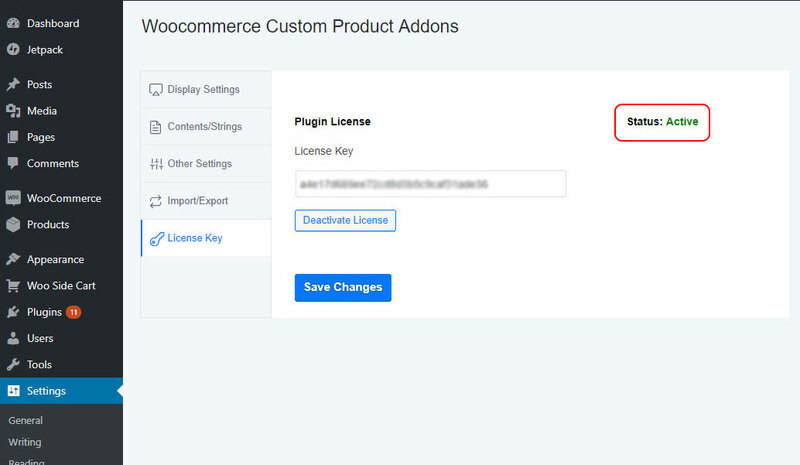 After copying, go to Settings-> Custom Product Addons->License Key. Paste the License Key in the preferred text box and click on theActivate License button. In the refreshed window, you can see the status is changed to Active.